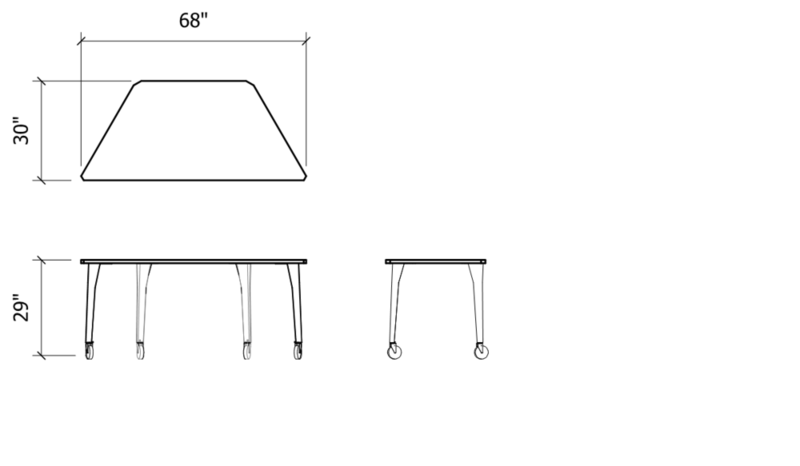 Remember those funny shaped tables from elementary school? Well, they’ve grown up and are ready to add some flexibility to the office. 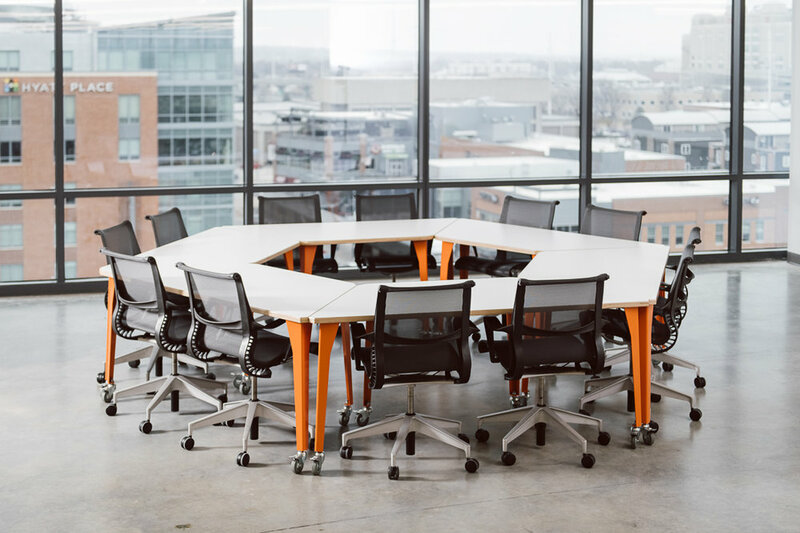 Need a large conference table? No problem. Need some tables for small group activities? That’s easy. Traps are hardworking and nimble tables that are available at a moment’s notice. 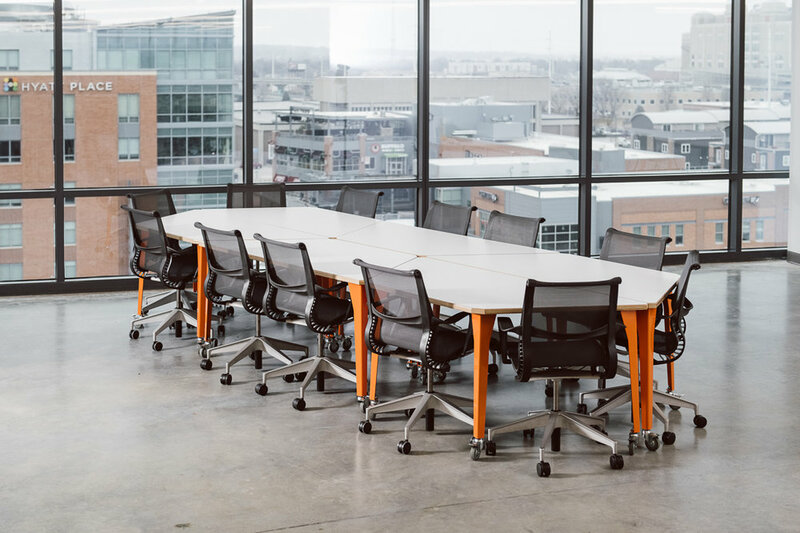 With a multitude of configurations, their unique shape makes them easy to rearrange and combine to suit your needs. Formed steel legs with powder coat finish and non-marking 3” double locking casters. 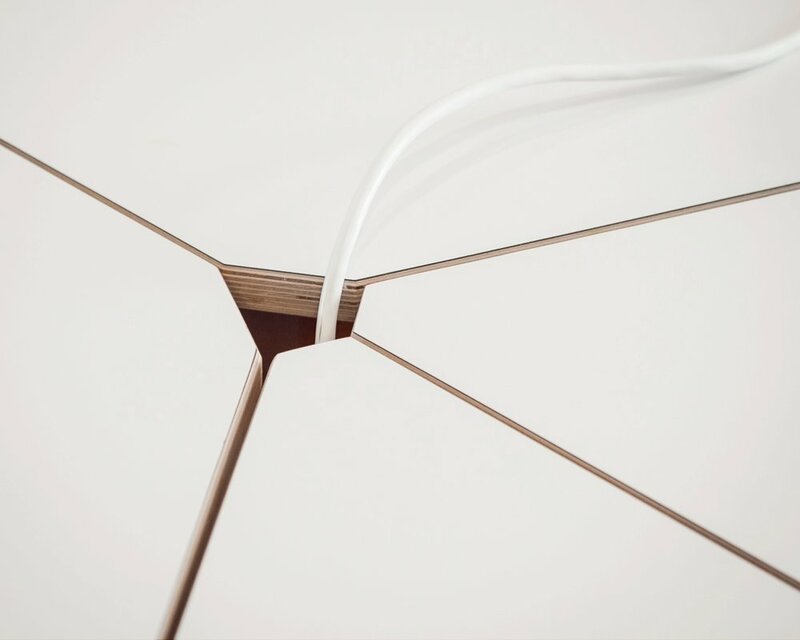 Trap table available in most laminates and powder coated in any RAL color, just ask!